It is official: 2015 is The Year of The Misdemeanor Elliott Comeback. In February, queen MC Missy Elliott performed at the Super Bowl XLIX half-time show and snatched the show out of Left Shark's fins. In November, she dropped the speaker-rattiling “WTF (Where They From)” featuring Pharrell. So what's next? The legendary rapper is slated to scoop up a major accolade. 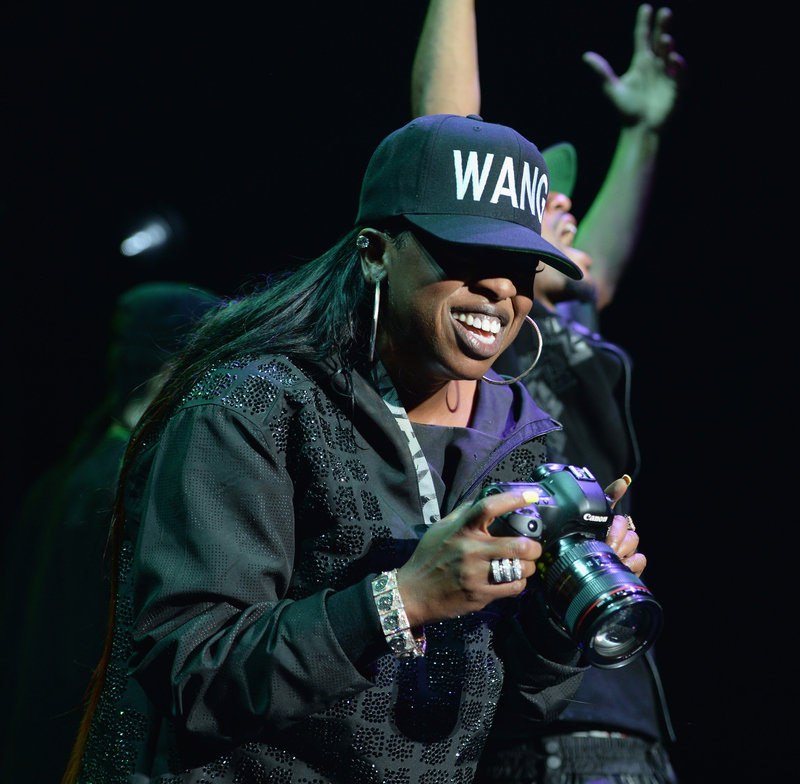 According to Billboard, Missy Elliott will be given the Innovator Award at the 2015 Billboard Women in Music Awards. This will be the ceremony's tenth year, but it will be the Innovator award’s maiden voyage. The award show will air on Dec. 18 on Lifetime. Elliott winning the very first Innovator Award is so right; Not only is the “WTF (Where They From)” rapper one of the most influential artists of the last few decades, but her music and videos have never not pushed the envelope. I'm probably preaching to the Missy Elliott-loving choir here, but her innovative body of work really does speak for its innovative self. Songs like 2001’s “Get Ur Freak On,” 2002’s “Gossip Folks,” or 2003’s “Pass That Dutch” could drop in the year 2k15 and still feel ahead of their time. “The Rain (Supa Dupa Fly)" is nearly two decades old, but it is as slick as ever. And I dare anyone to watch the “Lose Control” music video and try to tell me the 10-year-old clip doesn’t look and sound like something from the future. Tl;dr: Missy Elliott deserves all of the awards until the end of time.